Hidden Messengers, Heavenly Guardians, Spiritual Companions – The Word Among Us. This is a good article from The Word Among Us. It describes the different types of angels found in Holy Scripture, and especially spends time on our Guardian Angels. The Word Among Us is a good publication with meditations on the daily Mass readings, and the fuller version includes the order of Mass and the Mass readings themselves. For Kindle owners, you can get The Word Among Us (full version) on the Kindle HERE. 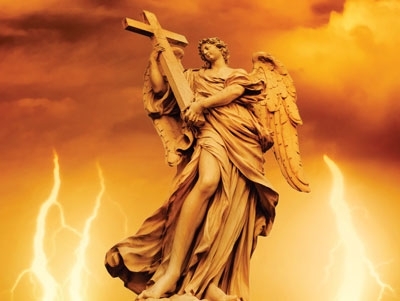 This entry was posted in Catholic, Culture, Religious and tagged Angels, Guardian Angels, Heavenly Guardians, Hidden Messengers, Spiritual Companions, The Word Among Us. Bookmark the permalink.